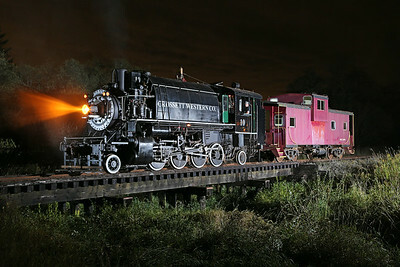 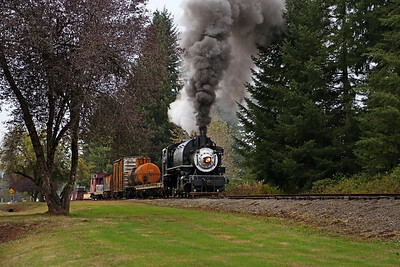 Photos from October 2014 featuring Crosset Western Company 2-8-2T #10 (Alco built 1929). 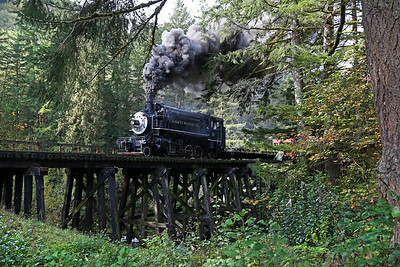 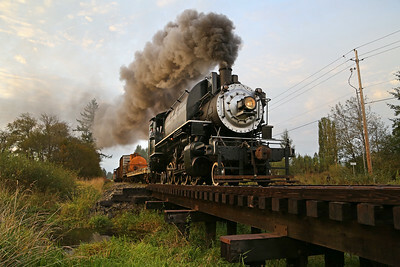 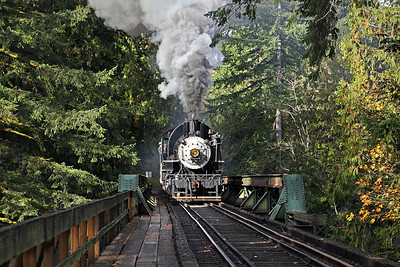 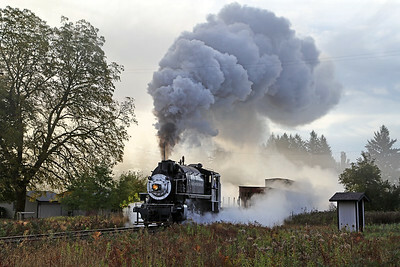 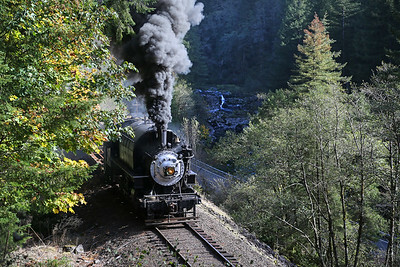 The non-profit Chelatchie Prairie Railroad began excursions in 2001 and today operates five miles between Yacolt and Lucia Falls through a 330-foot tunnel and over a trestle spanning the Lewis River. 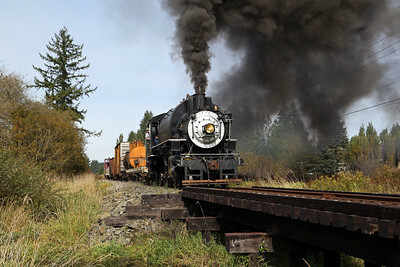 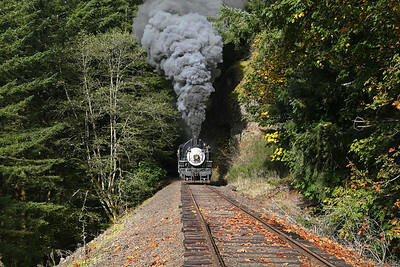 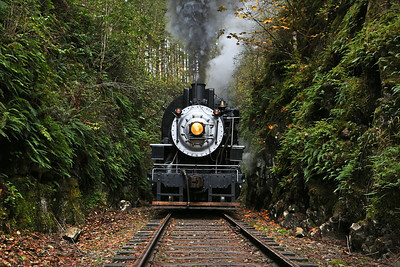 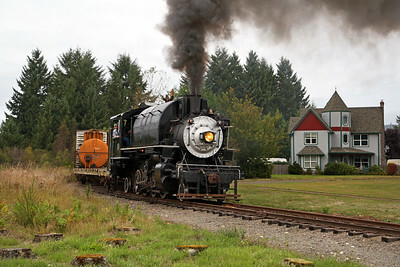 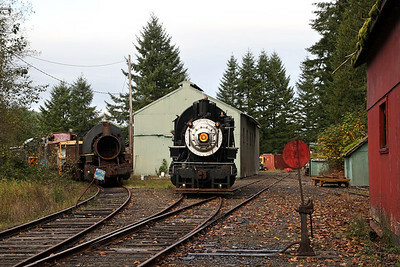 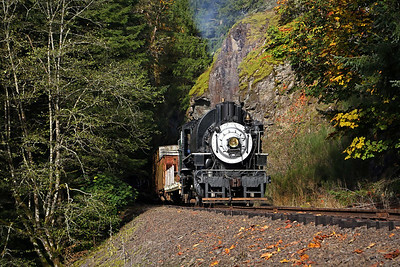 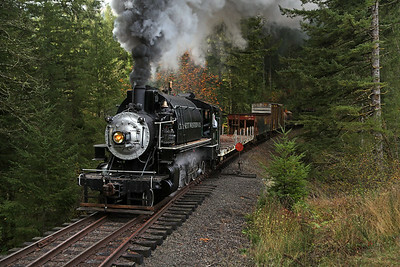 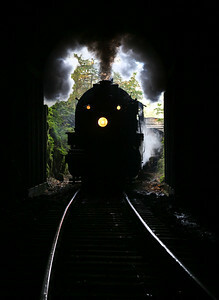 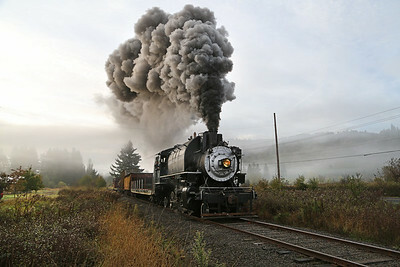 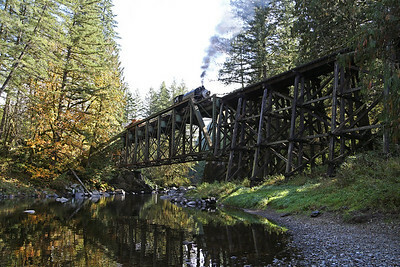 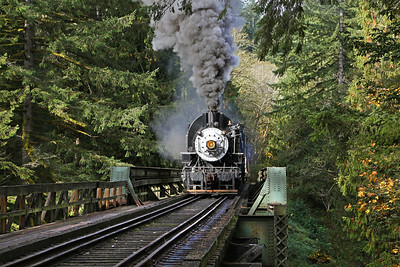 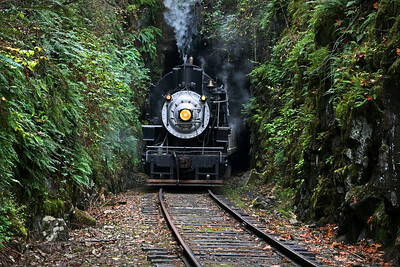 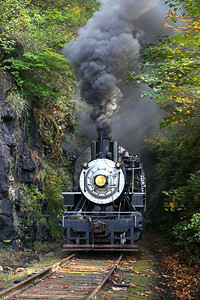 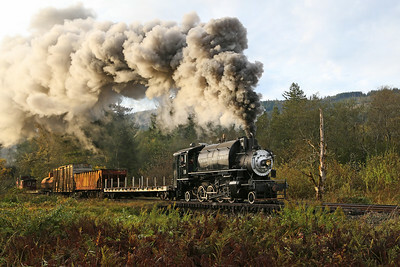 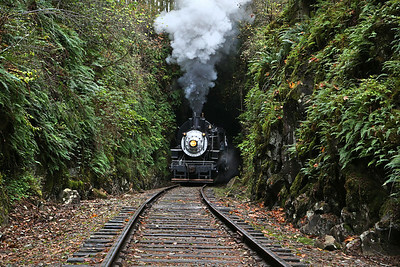 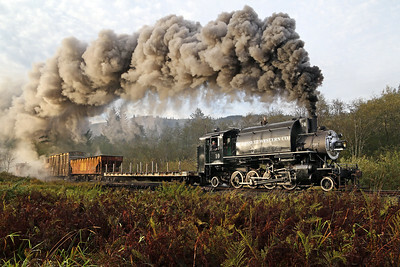 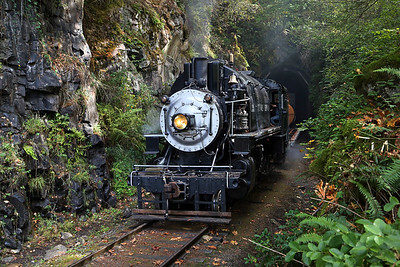 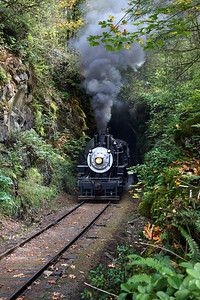 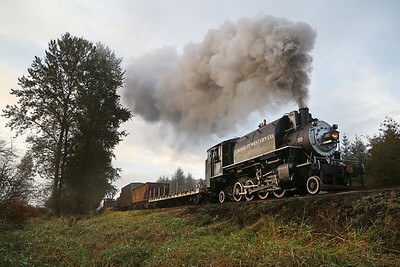 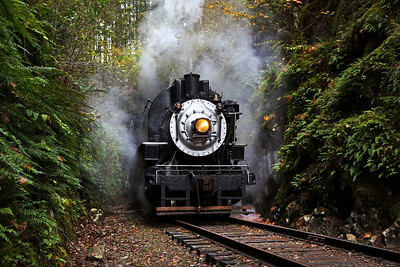 The route was constructed in 1903 as a Northern Pacific logging branch and is now owned by Clark County, Washington. 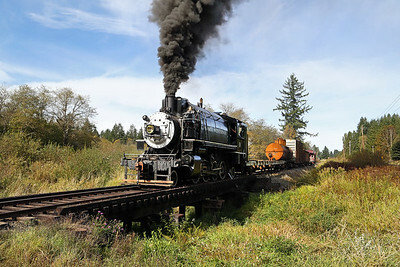 For more information, visit the Chelatchie Prairie Railroad website.